On Monday, August 4, Melissa Lawson was crowned the latest "Nashville Star" -- wrapping up NBC's dramatic first season of the popular talent search. The 32-year-old Lawson, an Arlington, Texas native and mother of five boys, took the prize over fellow Texan classic country singing Gabe Garcia and Iowa's country rock and blues-belter Shawn Mayer in a live broadcast. The show culminated with Lawson performing her debut single (produced by John Rich), which will be released to country radio tomorrow (August 5). Additionally, Lawson won a record contract with Warner Bros.
During Monday's live telecast of NBC's "Nashville Star," the final three were revealed – Shawn Mayer, Melissa Lawson and Gabe Garcia. Each took the stage for their final two performances before America voted in record numbers for their favorite (voting was up 53% from the prior week). On Monday, August 4 the winner will be revealed during the live finale, broadcast at a special time (10-11 pm ET/PT). The final three will each perform and will be reunited with the eliminated contestants for a special performance by show host Billy Ray Cyrus. 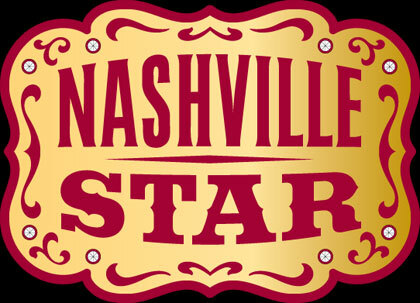 Talent from across the nation compete to be named the next "Nashville Star." Host Billy Ray Cyrus ("Hannah Montana") joins celebrity judges/mentors, singer-songwriter and acclaimed producer John Rich, multi-platinum singer-songwriter and three-time Grammy nominee Jewel and acclaimed industry heavy weight and BMI Songwriter of the Year (2006) Jeffery Steele in the search for a true artist. You never know who is going to stop by the Acuff Theater to join in on a jam session. From a 32-year-old mother of five to two high-school friends who dream of making it as a duet, NBC's "Nashville Star" revealed the top-12 music acts that will be vying for the crown when it kick-starts its first season on NBC on Monday, June 9 (9-11 p.m. ET).